In “Jesus Christ Money Master,” Dr. Gallagher identifies Christ’s 4 Eternal Truths which deliver Power and Profit. MONEY: Don’t Love It. Because you will never have enough. MONEY: Do Give It. It is eternally true that, “Its more Blessed to give than to receive”. MONEY: How to Earn It. You can get everything you want if you help other people get what they want. People are more important than profits. Relationships are more important than revenue. MONEY: How to Make It Grow: Long before Warren Buffet, Christ laid down principles for Power and Profit. Ignore them and be poor and sad. Follow them and be rich and glad. Regardless of one’s religious preference (or lack of it), Gallagher’s book is an effective and easy-to-read guide for profitable investing, leading to a Rich and Robust Retirement. 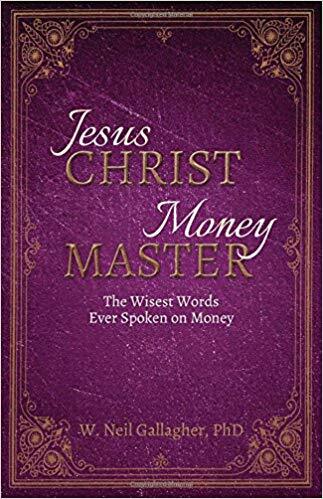 “Jesus Christ, Money Master” will also be part of the upcoming 2018 Frankfurt International Book Fair that’s happening on October 10-14, 2018. Together with thousands of other great titles, Gallagher’s practical and inspirational guide will grace the bookshelves of the world’s largest trade fair for books! Written by: W. Neil Gallagher Ph.D.
Dr. Gallagher studied at the University of Cincinnati Department of Psychiatry and Brown University, College of Medicine. He received his doctorate from Brown University. He is the author of five books and 70 professional and popular articles. Helping thousands of clients over a 35-year span, Gallagher’s compassionate, enthusiastic and practical style focuses on wealth creation, tax-control, lifetime (and growing) income, family communication, legacy planning and the psychology of investing.